27 Bulb LED Gemstone Lamp, 530 lumens. Color Render 2500K - 7000K. AC adaptor. You'll want one for your work bench and one on your customer sales counter, to really show off your work in the most flattering light! 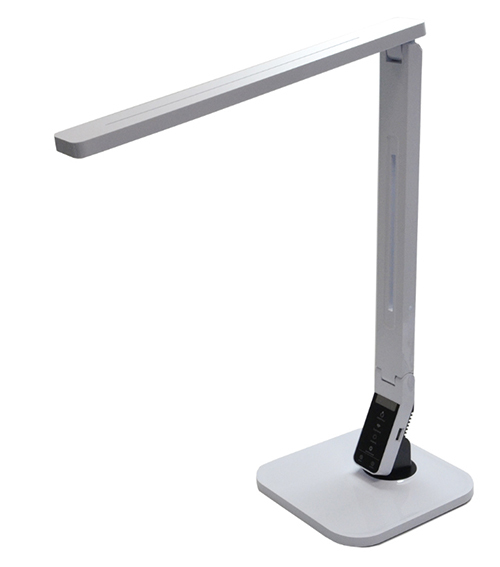 The LED Gemstone Lamp has a touch control panel, offering adjustable lighting effects for jewelry, diamonds, jadeite, and gemstones. Features four lighting modes that are selected with a touch of a button. Five step brightness dimmer and adjustable arm make this lamp the most versatile on the market and a favorite on your bench or sales counter. Equipped with 60 minute timer and USB charging port. AC adapter also included.